Human Rights – Fashion has long been home to some of the most glaring inequalities and injustices facing our world today. Since the 19th century, the clothing sector has been the center of many struggles for worker rights, the rise of social movements, the exercise of corporate power, and more, shaping our world and speaking to the critical need for basic human rights to be acknowledged and respected within this industry. Environment – The fashion industry is one of the major polluting industries in the world, responsible for 10 percent of the carbon footprint of the world as well as being the second greatest polluter of local freshwater globally. The production and distribution of crops, fibers, and garments used in fashion all contribute to harmful forms of pollution that negatively affect both people and planet. Governance – How can we spur positive action and solidify change on the systemic level? Policy and governance are an integral part of this solution, and innovative new approaches to this theme involving efforts of circular economy integration, increased regulation in the form of taxation, and more are moving the needle forward. Elizabeth L. Cline is the New York-based journalist and author of Overdressed: The Shockingly High Cost of Cheap Fashion (Penguin / 2012) and The Conscious Closet: The Revolutionary Guide to Looking Good While Doing Good (Plume / 2019). Cline is a leading expert on consumer culture, fast fashion, labor rights, and post-consumer textile waste. She regular appears on radio and television to discuss her work. Since 2012, Cline has conducted extensive research into the global secondhand clothing trade with a focus on New York City and Nairobi, Kenya’s textile waste flows. She is the Director of Reuse at Wearable Collections, New York City’s leading used clothing collections company spearheading circular solutions to the 25 billion pounds of textile waste generated annually in the United States. Eszter Csicsai is Senior Manager of Reuse and Donations at the NYC Department of Sanitation. In this capacity, she oversees programs aimed at encouraging New Yorkers to donate and reuse goods instead of sending them to landfill. 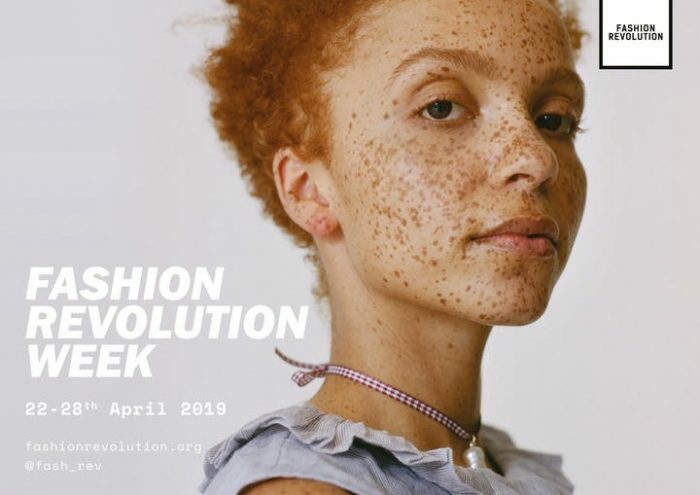 Most recently, her donateNYC program launched NYC’s city-run food donation portal and put on the inaugural ReFashion Week, a series of activities aimed at bringing together residents, businesses, and nonprofits to reduce textile waste through reuse, thrifting, and rethinking fashion. Mark Anner is an Associate Professor of Labor and Employment Relations and the founding director of the Center for Global Workers’ Rights at Penn State University. He holds a Ph.D. in Government from Cornell University and a Master’s Degree in Latin American Studies from Stanford University. He is the recipient of the John Dunlop Outstanding Scholar Award, the Luis Aparicio Emerging Scholar Prize, the Penn State Atherton Award for Excellence in Teaching, and the Susan C. Eaton Outstanding Scholar-Practitioner Award. He has been studying the global apparel industry for over 20 years. His research and interviews have been referenced in the New York Times, Wall Street Journal, CNN, and Bloomberg News. « San Francisco Sustainable Fashion Week-Eco Fashion Film Program!